There he goes again, bashing Bangalore. Not for the first time, US President Barack Obama invoked India’s much-celebrated economic hot spot, which has become an all-encompassing metaphor to describe everything from job loss to globalization, to rally Americans for a protectionist cause. The US President’s beef wasn’t really with Bangalore; the barb was aimed more at US firms and their wily ways. But Bangalore has become a catch-all term to hang US economic woes on. Obama has done it at least three times. Bangalore has lent its name to many things in history, from a torpedo made during World War II (depicted in the movie Saving Private Ryan) to a stealth destroyer built for the Indian Navy. There was even a race horse named Bangalore that took part in the Grand National Derby in Liverpool in 1842. 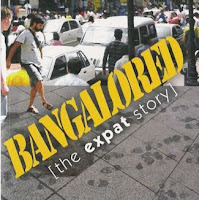 But none of them have gained as much currency as the neologism ''Bangalored,'' a term that has galloped into dictionaries to describe loss of jobs due to offshoring. For a while, the city might have felt good at the international attention. But with repeated -- and accusatory -- use, especially by the US President, it is starting to sound like an abomination -- or should that be an Obamination? Across the world, long time natives of the city -- present company included -- are frequently thrown words (or looks) tantamount to ''aren’t you the guys taking away our jobs?'' when the place of origin is disclosed. On Monday, Obama was at it again, banging up Bangalore (when it could well have been Beijing or Bucharest if he was so into alliteration) and buffing Buffalo, a city in upstate New York that thrives on foreign tourists because of its proximity to Niagara Falls. The crux of the Obama argument is that under current US tax code, American corporations with subsidiaries in foreign countries can defer paying US taxes on the profits of those subsidiaries until the money is transferred back to this country. As long as those earnings are plowed back into the foreign subsidiaries (which firms do, creating more jobs there), they can avoid paying taxes indefinitely. If the money is brought back to the US, corporations can subtract foreign taxes already paid. The Obama plan unveiled on Monday would, among other things, prohibit US firms from receiving foreign tax credits on income that is not subject to US taxes. It will also end a provision that lets the firms legally shift income from one foreign subsidiary to another, thus perpetually ducking taxes. As a result, companies such as General Electric, Google, Intel, and Hewlett-Packard, all of which have operations in Bangalore, will lose tax credits and be forced to pony up more tax dollars to Uncle Sam. Whether the multinationals, which get more bang -- or Bangalore -- for the buck outside the United States in terms of productivity will take this lying down is another matter. Congress has to approve the plan, and not all lawmakers are in its favor. Past attempts to pass similar laws have failed. The multinationals may yet torpedo it with stealthy lobbying.